The Calgary Stampede is a legend in this town. When RedPoint had the chance to sit down and write some really good stories for Stampede, we were thrilled. It was a great opportunity to talk about what Stampede does best, doing what we do best: storytelling. 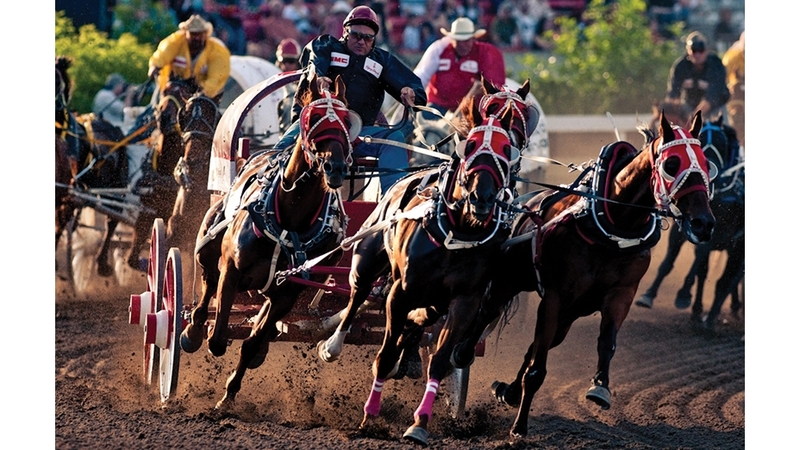 For those new to Calgary, Stampede is a 10-day exhibition and world-class rodeo that attracts thousands of visitors to this city each July. It’s also a year-round series of programs and set of facilities that help enhance the quality of life in Calgary and southern Alberta, while promoting Western heritage and values. For 2014, the Stampede wanted to add new content to the programs it distributes at the Rodeo and Evening Show (which is preceded by the Rangeland Derby) each day of the exhibition. Rather than simply functioning as event guides, the programs would include branded lifestyle content, providing greater context for the Rodeo and Evening Show experiences, and expressing Stampede-related culture and values. The Stampede wanted the programs to become insightful, engaging reads and keepsakes as well as practical guides. RedPoint was happy to take on the challenge, building an editorial lineup and delivering stories on topics as relevant and diverse as Paul Hardy’s CS Mercantile Collection, training regimens for rodeo athletes, little-known facts about Stampede and the larger significance of the Stampede to the city it calls home. So this July, between boot-stompin’, pancake breakfasts and midway rides, be sure to pick up a Stampede Rodeo or Evening Show program. The stories were fascinating for our writers; they’re sure to fascinate readers just as much.